AMBU Resuscitator. Consists of inflatable face mask, one-way plastic and metal valve, and large red rubber self-filling bag. 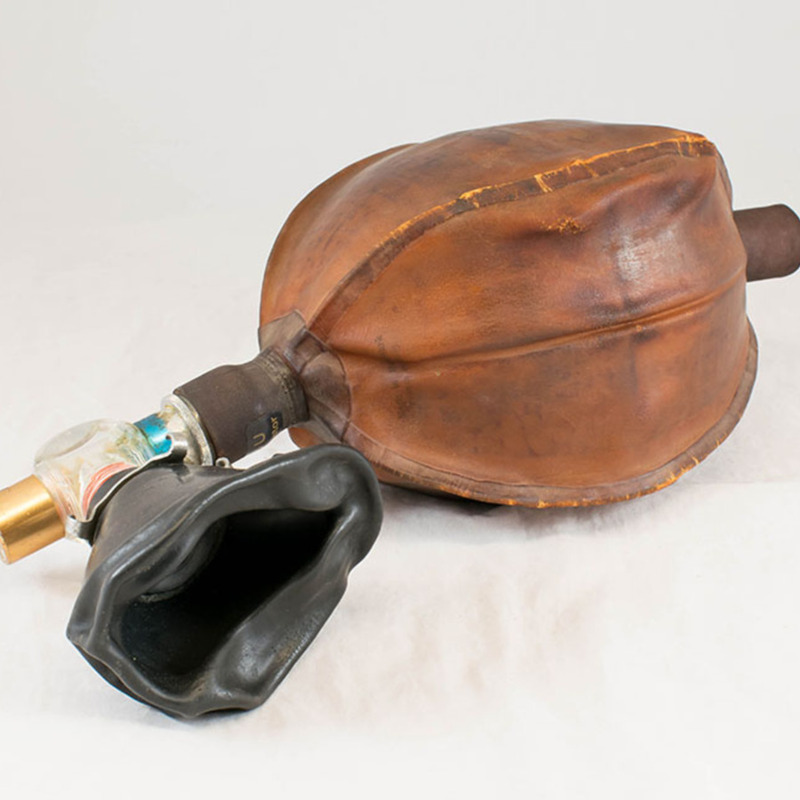 Also known as a BVM or "Bag valve mask". 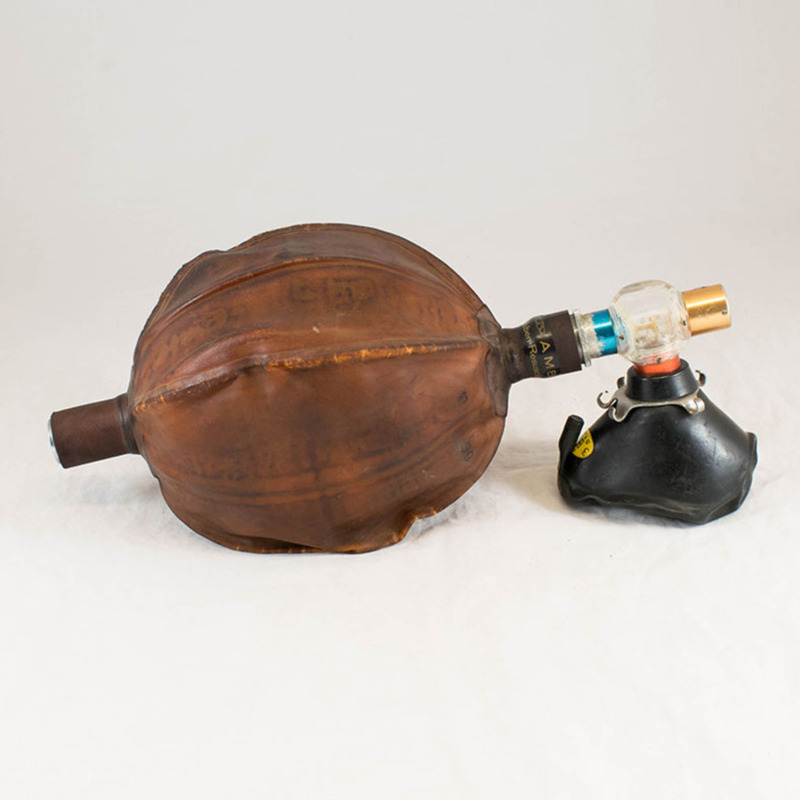 "Reuben" refers to Henning Reuben, the Danish anaesthetist who developed the device with his German partner in 1953. Marketed from 1956 onwards. 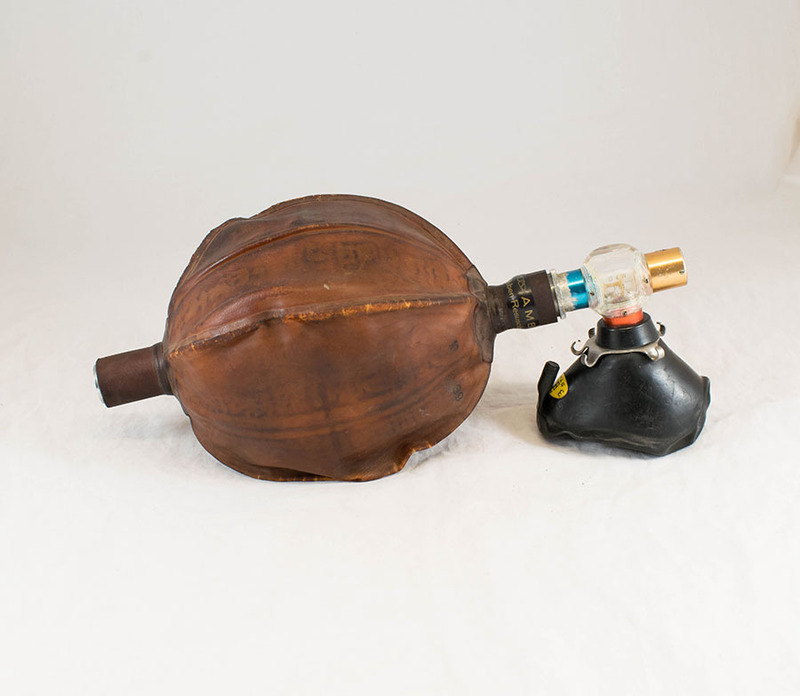 Ambu Ltd.; 1937-; Medical device manufacturer, “AMBU Resuscitator,” Heritage, accessed April 23, 2019, https://heritage.rcpsg.ac.uk/items/show/67. Description: AMBU Resuscitator. Consists of inflatable face mask, one-way plastic and metal valve, and large red rubber self-filling bag. 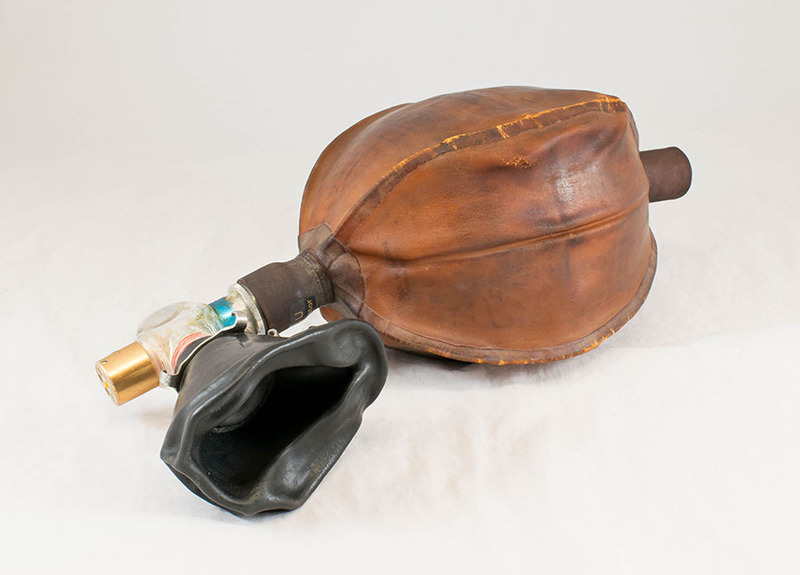 Also known as a BVM or "Bag valve mask". "Reuben" refers to Henning Reuben, the Danish anaesthetist who developed the device with his German partner in 1953. Marketed from 1956 onwards.